Trieste is „the city of coffee“ by excellence and the people from Trieste have a special bond to coffee. Consider they have created a peculiar terminology to order coffee, which sounds like a conundrum to any visitor: what can a „capo in b“ or a „goccia“ mean? Going to a historical coffeehouse in Trieste means diving into today’s Trieste and into the past. Try the Caffè degli Specchi, found in the beautiful Piazza Unità d’Italia facing the sea, take a seat at a table in the square and enjoy the view. 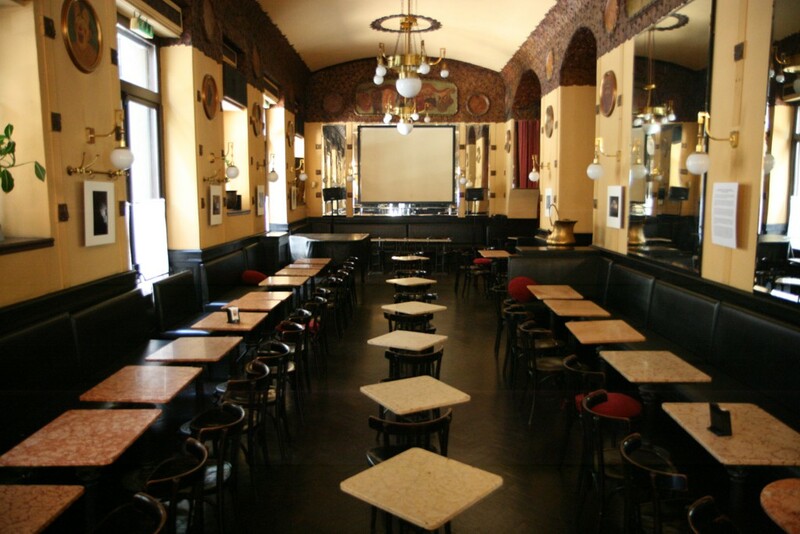 The Caffè Tommaseo preserves the atmosphere of a typical Viennese coffee room and was the favourite meeting place of several artists and writers of the early 20th century. If you are in Borgo Teresiano, go to the Caffè Stella Polare, a regular destination for the Irish novelist James Joyce. Joyce was also fond of local sweets and used to have them at the Antica Pasticceria Pirona. If you wish to meet the artists and writers of today, then you cannot miss the Caffè San Marco, an old-fashioned coffee bar where it is not unusual to meet Magris working on his latest book. Hier lernen Sie woher der Kaffee kommt, wie er zubereitet und getrunken wird: nach den fachkundigen Erläuterungen der Experten der Kaffee-Univeristät von illycaffè wird der Kaffee für Sie nicht mehr wie vorher sein. Betriebsbesichtigungen und Teilnahme an einem Kurs möglich, um echte Kaffeekenner zu werden. If you wish to meet the artists and writers of today, then you cannot miss the Caffè San Marco!